Rebecca (“Bec”) Edelson is a partner in the Intellectual Property and Litigation Practice Groups and leads the firm's Trade Secrets Team. Bec prides herself in providing creative solutions that meet her clients’ business and budget goals. Bec represents businesses in intellectual property, unfair competition and injunction matters. She handles all phases of state and federal litigation, including pre-trial development, discovery and motion practice, trials, writs and appeals. She also counsels businesses on how to proactively protect their proprietary rights and information to minimize the risk of litigation. Bec represents clients in a variety of industries, including the entertainment, aerospace, energy, retail, fashion, financial, medical technology, biotech, computer, panel-maker, database, toy, jewelry, heavy/industrial equipment, lighting technology, insurance, food and travel and leisure industries, among others. Bec routinely publishes and speaks on trade secret issues. 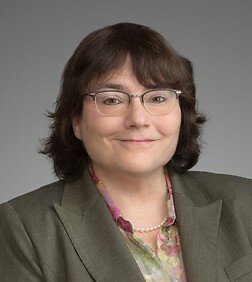 She is co-editor and co-author of the treatise, Trade Secret Litigation and Protection in California, published by the State Bar of California, as well as its 2017 supplement on the Defend Trade Secrets Act (DTSA). She also contributed to an English language handbook on trade secret litigation in the United States created for the Ministry of Commerce of the People’s Republic of China. Bec served from 2015-2016 on the Board of Directors for the Century City Chamber of Commerce. She also served as the 2004-2005 Chair of the Executive Committee of the Intellectual Property Section of the State Bar of California, and is former Chair of its Trade Secrets and Grants Subcommittees. Defending food distributor against claims for trade name infringement and receipt of unlawful secret rebates. Represented entertainment business in arbitration between its employee and their former employer which claimed the employee misappropriated its trade secret information for client's business. The matter settled favorably for our client and its employee. Obtained consent judgment for aerospace company in trade secret misappropriation, copyright infringement and trademark infringement case shortly after deposing the defendant. Defeated motion for preliminary injunction in dispute between foreign manufacturer of food products (client) and its former U.S. distributor. Later obtained summary judgment in client’s favor on distributor’s claims and client’s counter-claims, and against distributor's owner on the ground that the distributor was the owner's alter ego. Obtained judgment for over $160 million against an international reinsurance company following trial. Favorably settled copyright infringement dispute after persuading the Court to deny plaintiff’s request to forego Hague Convention service on client, a foreign content producer of entertainment programming. Obtained favorable settlement and dismissals for well-known international clothing retailer in lawsuits alleging patent, trademark and copyright infringement. Obtained permanent injunction and favorable monetary settlement for beauty products distributor in trademark infringement litigation and related Trademark Trial and Appeal Board proceedings. Favorably settled during trial trade secret dispute brought by medical device manufacturer client against former distributor. Obtained favorable jury verdict for manufacturer and designer of fashion accessories in trade dress and copyright dispute. Obtained temporary restraining order, permanent injunction and monetary award against infringers of client’s copyrights and trademarks of client. Obtained insurance coverage for food manufacturer client from loss arising from contaminated packets of ketchup by persuading arbitrator loss fell within “explosion” exception to coverage exclusions because ketchup packets had burst due to contamination. Advocated on behalf of clients to persuade government agencies not to release trade secret information to members of the public who requested access. Advised clients of potential measures they could implement to reduce the risk of misappropriation of trade secret information. Offered strategy recommendations to client to reduce likelihood that the other member of its failed joint venture would assert misappropriation claims against it. Proposed modifications to a client’s standard NDA to better protect the client’s trade secrets and to limit unwarranted misappropriation claims against the client. Advised client how to decrease the risk of misappropriation claims by a competitor in connection with the client’s acquisition of a business that sold the competitor’s products. Overhauled client’s employee materials (form employee agreement, employee handbook) to improve the client’s ability to enforce its trade secret rights. Guided client in its response to a competitor’s claim that the client misappropriated the competitor’s confidential information to obtain a customer’s business. Advised on “best practices” to address concern that a misappropriation claim may be asserted (e.g., implement “clean room” and “reverse engineering” protocols). Counseled client on appropriate remediation and other potential responses to the discovery of a potential misappropriation incident (e.g., an employee brought over a former employer’s purported confidential materials). Advised client on potential claims under a patent sales agreement which provided for on-going royalty payments. Advised client how to respond to unwarranted royalty demands under IP license agreements. Convinced Court of Appeal to issue writ ordering the trial court show why its order permitting service of process on client without Hague Convention compliance should not be vacated. Thereafter, the underlying dispute, which concerned perpetual license of certain television programs, settled. Obtained from Court of Appeal reversal of summary judgment order declaring trademark of client, distributor of products in the fashion/beauty industry, was generic. Settled case favorably for client thereafter. Convinced Court of Appeal to affirm judgment awarding real estate investor client over half million dollars in interest based on adversary’s wrongful refusal to return multi-million dollar escrow deposit after adversary terminated transaction. After receiving opening brief on petition of review of denial of asylum, government agreed to reopen asylum proceedings. Submitted amicus curiae briefs on behalf of public interest organizations in proceedings in California Supreme Court and U.S. Supreme Court arising from California Proposition 8 (defining marriage as between a man and a woman).